“This change is a welcome and overdue adjustment with the potential to expand access to medication abortion for women across the country, particularly women in rural areas facing both regulatory and geographic hurdles to care. Based on advancements in medicine over the last 16 years, among other changes, the new label acknowledges that women need not make extra visits to a health care provider and that the medication is effective for up to 10 weeks of pregnancy, as opposed to the seven weeks originally included on the label in 2000. 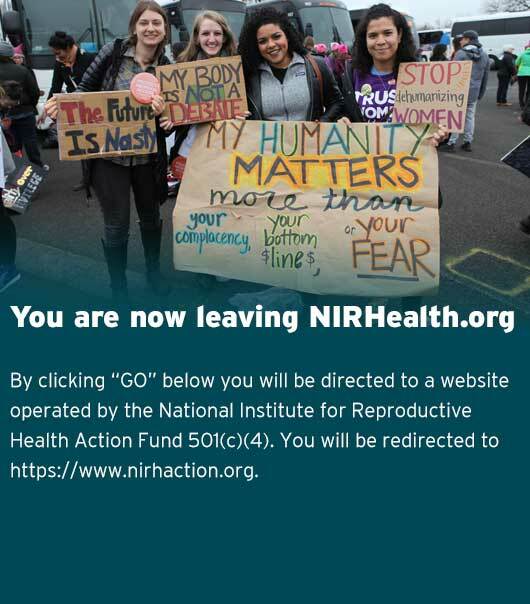 “The National Institute for Reproductive Health works closely with partners in states like North Dakota, Ohio, and Texas, where legislators have quietly passed dozens of laws against abortion over the last few years, including restrictions that have prevented providers from administering the best care by implementing politically motivated requirements and forcing adherence to the outdated label. The FDA’s action eases the burden on women in those states exercising their right to abortion.